SON is the thrilling conclusion to THE GIVER QUARTET. When `Water Claire' washed up on their shore, no one knew that she came from a society where emotions don't exist. That she had become a Vessel. That she had carried a Product. That it had been stolen from her body. Claire's son is out there, a young boy now. And she will stop at nothing to find her child, even if it means making an unimaginable sacrifice. 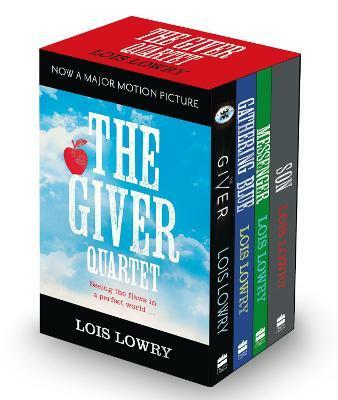 Award-winning author Lois Lowry challenges readers to imagine what our world could become, how people could evolve and what could be considered valuable in this fascinating quartet of dystopian novels - now available as a four-book set.